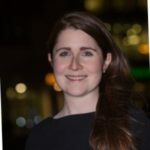 Emma Kerins is Head of Policy and Public Affairs with Chambers Ireland. She is also a voluntary trustee of the board of the YMCA Dublin. She tells us what being part of a charity board is like. Just over one year ago I formally joined the Board of the YMCA Dublin. My background was in human rights law and currently I work in public affairs, and at that point, had done so for about five years, working in Dublin for the most part, but also having spent some time working in Northern Ireland and New Zealand. While I wouldn’t say I got itchy feet, I did have the urge to do something else outside of my normal Monday to Friday job and volunteer part of my time with a different organisation, perhaps with a more charitable focus or engaged more in front line services. It was at this point that I came across an opportunity to join the Board of YMCA Dublin, who were looking for new Directors/Trustees with skills like my own. As both a charity and social enterprise, it immediately struck my interest. I contacted the organisation, made an application and was subsequently invited to join. I’m now one year into serving on the Board of the Dublin YMCA, so how have I found it? It has been, so far, an experience I have found both challenging and rewarding. Joining a Board of Directors is serious. In order to carry out your duties, you need to be sure you can commit the time required. You also need to ensure you fully understand your role and legal obligations when it comes to both governance and your fiduciary responsibilities to the organisation. Serving with a Board, particularly that of a charity, is also a great privilege and an extremely positive experience. You really get to know another organisation and through this, you have the chance to actively support the team in implementing its programmes and services. From a personal perspective, it’s also a fantastic learning opportunity. It puts you in a position where you’re working closely with many other people, often from very different professions, with different skillsets to your own, in order to achieve a common purpose. As well as being a valuable learning experience, it can also be a very meaningful one. Having the chance to volunteer your skills and your time to a charity and supporting its long term development is something that I am delighted to be a part of. There is a perception that you need to be certain age or have a certain skillset in order to be eligible to join a Board, but I have not found this to be the case. Diversity on boards has been proven to contribute to stronger and more ethical organisational governance. Having a mix of ages, genders, professions and ranges of experience brings a wealth of expertise to an NGO, so my advice would be not to let any such perception intimidate you. So long as you have the time, enthusiasm and commitment to carrying out your duties, there is no reason why both you and a charity can’t reap the benefits. Charity Trustees’ Week runs from from 12th – 16th November with events taking place around the country. Join the conversation online using #TrusteesWeekIrl.